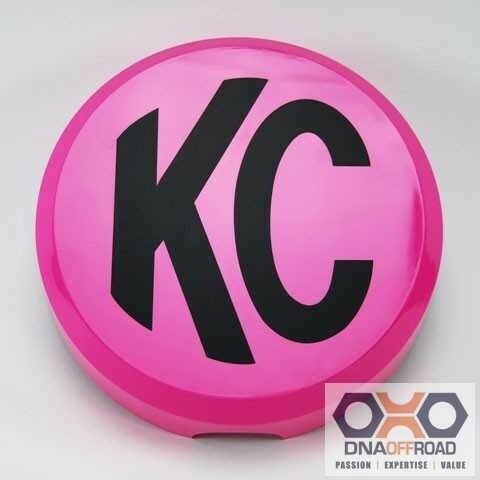 KC Hilites 6" Plastic light cover adds style and protection to KC 6" Daylighter, SlimLite, and Pro-Sport models. Each light cover sold individually, available in a variety of styles and colors. KC 6" Plastic Light Covers are available in a tough composite plastic providing added protection for your KC Lights while keeping the lenses clean for optimum performance for years to come. All KC plastic light covers are designed for a formed fit to protect the light from most, harmful on-coming debris. KC light covers are also UV treated, to protect your lights from sun damage and keeping your lenses look brand new. KC light covers not only protect your fog and driving lights from harsh conditions but also adds a rugged off road appearance with Iconic KC Logos. Our pair of light covers are available in a wide array of styles and colors, giving your KC Lights a truly unique look and finish. Choose from over 5 different high quality and attractive light cover styles.